A national magazine called me to interview me on the subjecting of “Choosing Dr. Right”or how to pick a cosmetic surgeon. During the interview, I wrote down some thoughts and here they are! In reality there are no absolute criteria for selecting a surgeon and some of the surgeons that have the best qualifications do poor work and some simple, unknown, humble surgeons are true artists. In our society we set standards for picking any service whether it is automotive repair, a school for your children, the place where you purchase your groceries or healthcare. What people look for is a qualified provider. With consumer goods it may be the seal of approval from the Better Business Bureau, with surgery it is board certification. This does not guarantee proficiency, but is a universal standard for training. As with consumer goods, the quality of work provided can translate to cosmetic surgery outcomes. You may favor a certain restaurant because of a clean environment and consistently excellent food. Surgeons that have consistently pleasing outcomes probably know what they are doing. Generally the public appreciates this and a reputation for good surgical care and outcome brings a busy practice. These surgeons are usually “superspecialists” and concentrate on a given procedure, i.e face, breasts, liposuction. In addition, in my experience, the cosmetic surgeons that are the best, limit their practice to cosmetic surgery. Not to say that performing other procedures makes a poor surgeon, but if all a surgeon does is cosmetic procedures, he or she would probably have more experience than a surgeon that “dabbles” in facelift surgery. A surgeon that only does faces may be a better facelift choice than another who does surgery all over the body. This is not a steadfast rule, but it is hard to be great at everything. All of us use various service providers because we get treated incredibly well. Special service is a hallmark of quality. There is a huge difference in checking into a “W” hotel and a Motel 6. Concierge service can also occur in the cosmetic surgery office and generally offices that know how to provide the best patient service and communication have quality all the way through the practice. None of us want to be brushed off when we have a problem or need information and it is a very bad feeling to have a problem after surgery and not be able to readily speak to the surgeon. Look for excellent patient service and care, the ability to easily reach the surgeon and staff and a clean and contemporary facility are usually good indicators about the quality of a practice. On this vane, having an accredited facility is another indicator that the office and surgeon are interested in excellence. Full accreditation can be a task of awesome proportion and is another positive factor in the patient’s decision making process. 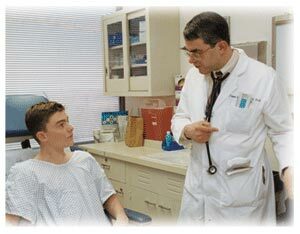 Bedside manner is a classical means of rating surgeons. We all know of excellent surgeons that have personalities like sour milk and we all know very personable surgeons that perform mediocre surgery. 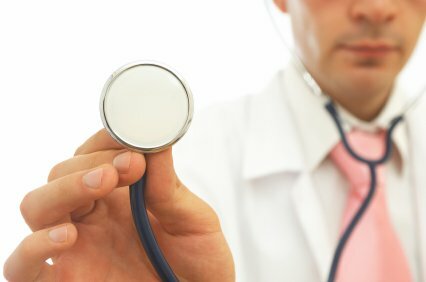 Looking for a surgeon that the patient personally can communicate is very important. “If you can’t speak to your surgeon, you may have the wrong surgeon” has always been one of my mantras. If you have a rude, distracted or unfriendly surgeon when you are at the consult process, how will he or she act when the going gets tough? 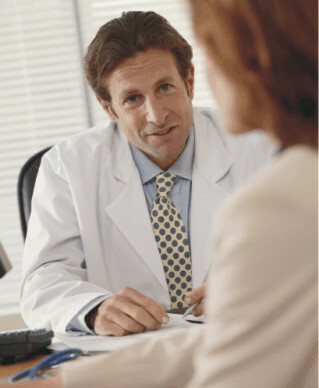 Astute surgeons realize that a cosmetic surgery consult is actually a job interview for their services. In addition, being able to reach your surgeon easily is paramount. When I give my cell phone number to patients they are usually blown away as few surgeons exhibit that level of sincerity. Outcome is probably the most important buzz word in this discussion. Show me any business that produces consistent quality outcome and you will see a successful business. Providing a consumer with more than they expected is the hallmark of building a business. Most busy, competent surgeons have a significant volume of cases that are testament to their work. This is usually very self perpetuating and nothing succeeds like success. Generally a busy surgeon with good outcomes will be popular by word of mouth. 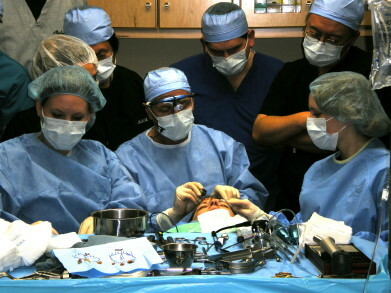 Also, an experienced surgeon should be able to show prospective patient examples of his or her work. If a surgeon can’t show you 50 before and after facelift pictures, something is not right. Obviously, it may be a young surgeon with less experience and may do good work, but seasoned surgeons should have voluminous amounts of their work to help guide patients in the decision process. Also remember that ever the best surgeons have occasional outcomes that are less than expected, but it is the general “gestalt” of a surgeon’s work that is important to the patient who is shopping for the correct surgeon. Backing up one’s work is also a huge thing to look for with any consumer service. If I pay thousands of dollars for a big screen TV and it does not work correctly, I expect the seller to stand behind their product. Although cosmetic is not as simple as an appliance warranty, there are daily occurrences where a superlative surgeon will “back up what they do”. The patient is always right should be a way of life and compromising for the effects on patient relations is something that is viewed with a very positive note. It is impossible to guarantee a surgical result, but meeting reasonable patients half way when problems occur is positive marketing that money can’t buy. Practice or Passion? Another means of judging a surgeon is to evaluate their total involvement in their profession. Like anything else, show me a person with a passion for what they do for a living and I will generally show you some that is good at what they do. Doctors that publish, lecture, give courses and teach other doctors, have university appointments and are active in community service generally love what they do or they would not be so involved and these surgeons are generally “a cut above”. No pun. Things to avoid? Beware of a surgeon who speaks negatively against their competition. Remember that a surgeon that slanders his competition may also talk negatively about you as a patient. Also, in most cases, surgeons that discredit their competition are usually hurting or jealous of the person they defame. This is an unfortunate quality of many humans, to try to look good by making someone else look bad. This is especially true for those surgeons that attempt to mislead the public by saying only “their” specialty is qualified or better trained to perform cosmetic procedures. This is like Ford saying that their car is the only choice and that all other cars are inferior and unsafe. We all realize that turf wars exist between sports fans, restaurants, politics, religions and yes, surgeons. The competent surgeon and savvy patient should never get caught up in these petty indifferences. In conclusion, the above points, each taken separately, can serve as concrete facts when selecting a competent surgeon. Collectively, the more of the above attributes that a given surgeon has the better a patient should feel when making a decision. Show me an enthusiastic, board certified surgeon, who has many successful cosmetic cases from their accredited facility that is easy to communicate with and that backs up their work, and I will generally show you Mr. or Mrs. Right. For more information on cosmetic facial surgery in Richmond, Virginia go to http://www.lovethatface.com. One thing about life is that there will always be competition and competition can breed deceit, especially in people with little minds. Some of this is natural and we see it in everyday life. Washington Redskin fans hate the Dallas Cowboys, Democrats fight with Republicans (and vice versa), religions fight other, and so on and so on. Most of this is taken in simple terms, but sometimes people distort fact to make themselves look better. Case in point. If a patient comes into my office and says something about being treated by another local cosmetic surgeon and let’s assume I don’t really care for that surgeon or that this surgeon did poor work on this patient. It is always tempting to say something derogatory, but I never fall for the trap, I just say “oh, he is a nice guy” or simply say I don’t know them. This is a win-win situation because we both win. On the contrary, when the shoe is on the other foot, there are numerous surgeons in my town that will go out of their way to demean me (or other surgeons). They are actually pretty good referral sources because I have had numerous patients leave their offices only to come to me as a patient. These patients were either embarrassed at the unprofessionalism of the other doc or came to me and said “hey, this guy must really be hurting because he is obviously afraid of your presence, so I thought you must be pretty good to make someone talk like that in front of a patient”. I have also had patients come to me after a good dose of bashing by some of the smaller minded competition because the patient felt that “if he talks about his colleagues like that, he (or she) probably talks about their patients in a similar vein”. Anyhow, for that doctor it is a win-lose situation because for them to look good, someone has to look bad. I kind of feel sorry for them that their life is like that. I did graduate from dental school, you have to do that to enter maxillofacial surgery. My dental training was tremendous as I studied the head and neck (my area of expertise) for four years and honed my manual dexterity which truly has paid off in my cosmetic surgical career. There are few people that can use their hands in such an artistic manner as dentists, so I would not trade it for the world, it has made me a better cosmetic surgeon. Every once in a while, they may scare a patient away, but their bashing has actually encouraged patients to come to me once they find out the facts. In addition, I have redone some of their work on patients that they scared away from my office and the patients returned with their tails between their legs admitting they were duped. That part is not the biggest deal because all surgeons at some time probably have work redone by someone else (including mine), but it seems that I have seen more complications from my loudest opponents that the other competition.